Hey, are you ready for summer 2018? Well…Summer is approaching and shorts are always necessary to keep cool on the hottest of days.Why not stay cool in style and also ready for a quick swim as well with these exclusively released swim shorts from popular sportswear brand Ellesse. These shorts are black in color and feature the Ellesse logo on the front.They have a white drawstring to help keep them up and pockets for convenient storage Also running down the sides is unique Ellesse logo taping. Do not wait to get this pair of iconic shorts. Get them today. 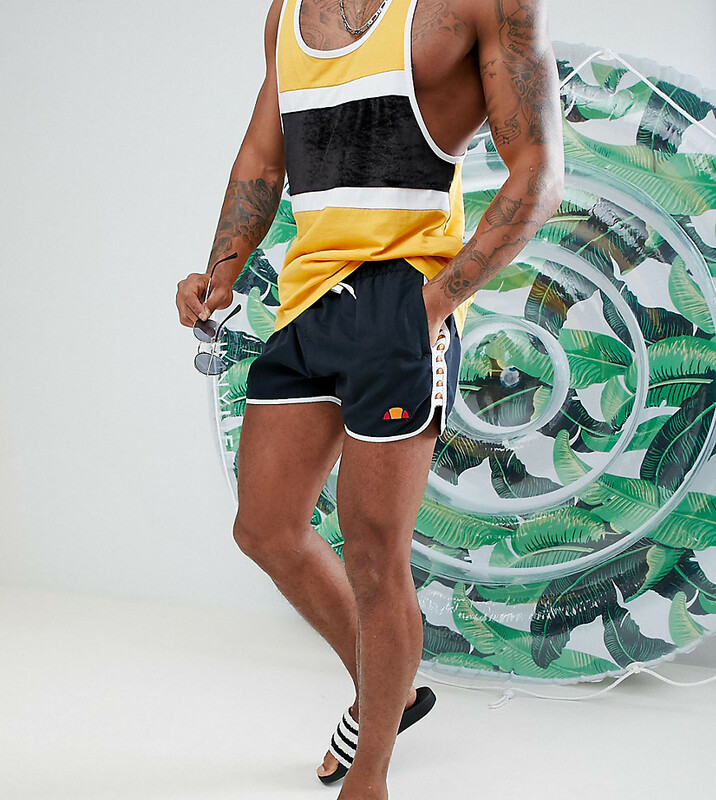 Simply click the image below and go straight to this item on the ASOS website.There you will see more photos and get more details on their price and fit.